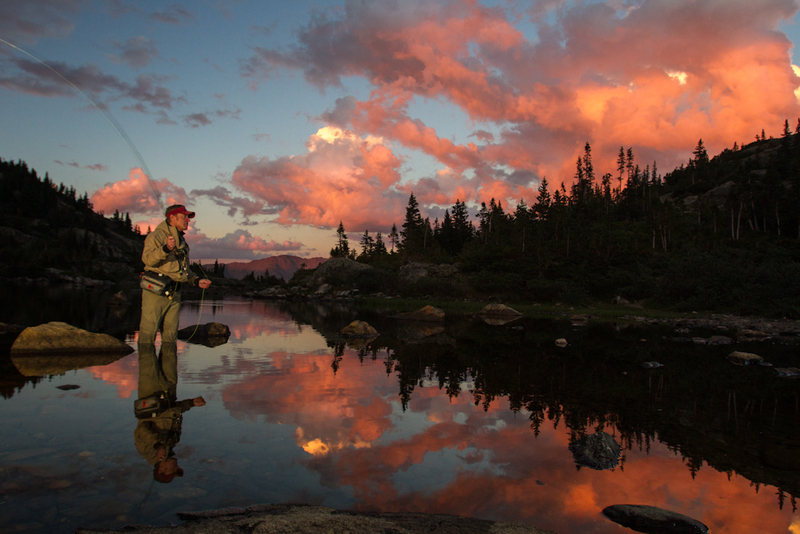 Fly fishing in Breckenridge is almost magical, and summer days can turn into summer weeks in pursuit of the perfect catch and rejuvenating experience. This is serious business. A river with rainbows and brown trout is waiting. The river holds out the offer of peaceful solitude, except the sounds of birds and water. Clear blue skies, sunlight dancing on the current, towering pines, and the scents of alpine meadows or stunning sunrises and sunsets celebrated in serene silence. The angler is ready to be enveloped in a world of his own, where it is just him and the art of casting the right fly into the right location, and deftly causing that fly to dance on the water. Both art and science, the skilled angler is rewarded with catching some of the most delicious fish in the world, trout from high in the Rockies. And after the perfect day comes the perfect night in your home away from home at the Grand Colorado on Peak 8. All of the amenities of a world class resort with all of the comforts of home. So you come home and have your trout for dinner, or enjoy the restaurant at the Grand Colorado, or one of the eclectic dining experiences Breckenridge has to offer. Either way, you are home. Owners at the Grand Colorado on Peak 8 experience the benefits of fractional real estate, offering all of the comforts of home with none of the hassles. Luxury condos from studio to four bedroom sitting at the base of Peak 8 with ski in, ski out access in the winter, casual luxury, salt water pools and hot tubs, a spa, movie theatre, or just your luxury condo with your own kitchen. You choose. Either way, luxury fractional real estate is one of the smartest second home ownership options out there, with the benefits of a deed and mortgage, without any of the upkeep of a second home. This luxury condo development only has 75 total units available, and will quickly become one of the most exclusive addresses in all of Breckenridge. Inventory is selling rapidly, so you need to act quickly to make your dream of a second home in Breckenridge come true. Contact Senior Broker Brent Henry for a hassle, no obligation consultation. Call Brent at 917- 485-2117. To receive an information package on the Grand Colorado, simply fill out the convenient form below. This entry was posted on June 1, 2015 by elevatemarketingaz. It was filed under Breckenridge Colorado Luxury Condo Sales, Fractional Ownership Real Estate, Fractional Ownership Real Estate Breckenridge CO, Fractional Real Estate Breckenridge, Luxury Fractional Real Estate Breckenridge CO, Real Estate Breckenridge Colorado, Ski In, Ski Out Luxury Condo Breckenridge Co, The Grand Colorado on Peak 8 and was tagged with Breckenridge Colorado, Breckenridge Colorado condos, Breckenridge luxury condo sales, Brent Henry Breckenridge real estate broker, Grand Colorado on Peak Eight, ski out real estate breckenridge colorado.